Posterior Cruciate Ligament – What it is, what it does, how does it get injured and what happens next….. The centre part of the knee joint is made up of the anterior cruciate ligament (ACL) and the posterior cruciate ligament (PCL). The anterior cruciate ligament is well known and injuries have been seen in famous footballers such as Michael Owen, Craig Bellemy, Ji Sung Park just to name a few. The posterior cruciate ligament is less commonly injured and hence less well known. The ACL and PCL crosses each other in the centre of the knee and hence the name “cruciate”. 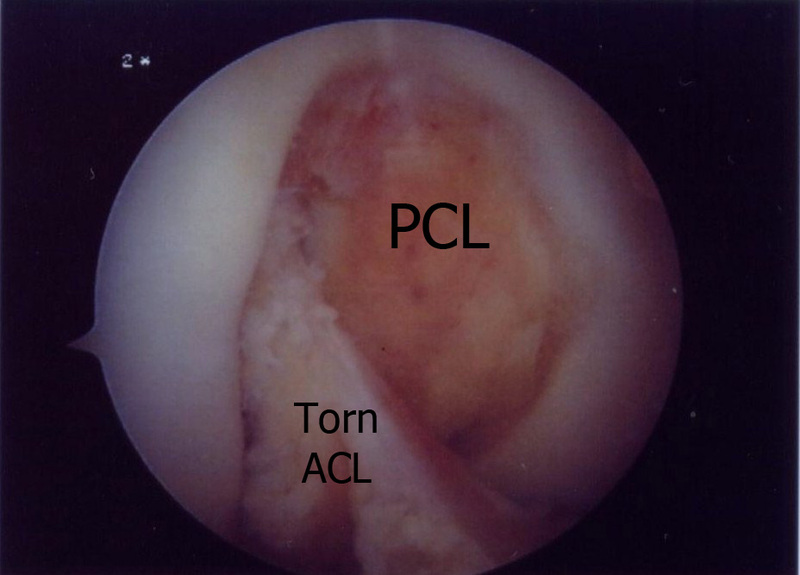 The PCL is a much larger ligament in the knee compared to the ACL. It runs from the back of the shin bone and inserts into the front of the medial aspect of the thigh bone called the medial femoral condyle. The main function of this ligament is to connect the thigh bone to the shin bone and preventing the shin bone from sagging backwards with respect to the thigh bone. PCL injuries can occur in road traffic accidents such as a dashboard injury in a car accident, or during a motorcycle accident. It is often associated with fractures of the thigh bone or posterior hip dislocations. The PCL injury tends to be missed when it is associated with femur (thigh bone) fractures as it is difficult to examine the knee with a broken thigh bone. The other common causes of PCL tears are from hyperextension injury such as a poor tackle to the front of the knee causing the knee to hyperextend or a fall onto the front of the shin bone. It is estimated that for every 10 cases of ACL tears sustained, there are about 2 cases of PCL injured knees. However, PCL injuries are often missed or undiagnosed. Hence it seems to be “rare” and an uncommon injury. What are the Symptoms of PCL Injury? The symptoms during an acute injury is very similar to that of an ACL tear. There will be pain, swelling and restriction of knee movement. Subsequently when the person recovers from the acute episode, the symptoms may be one of instability or pain in the front of the knee when walking up or down stairs. The incidence of overt instability of the PCL injured knee is less frequent compared to ACL deficient knee. In chronic cases. patients may have arthritis in the kneecap and inner aspect of the knee joint. Some patients have no symptoms and can carry on with their daily activities.